As a book lover, where do you find ideas on what to read next? Certainly there are a number of great options, from recommendations given by friends, to interactions with your favorite public library (in person and online), to magazines, newspapers and trips to book shops. Today, we will look at some rich and varied podcasts that can offer yet another great way to find books and connect more deeply with them and their authors. There are many podcasts for book lovers – here are just a few. Book Riot is a one-stop-shop for every book lover. There is the eponymous podcast, hosted by two book aficionados from the east coast. However, there are also seven other shows that cover a number of various themes and genres, including personalized book recommendations on Get Booked, SFF Yeah which covers science fiction and fantasy, and Recommended which features many great authors giving their reading picks. 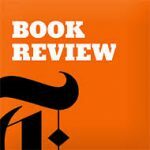 The Book Review podcast from the New York Times takes you a step further in depth into recommended books. Generally they will have two detailed interviews with authors of books that have received strong reviews in The Times, and then a panel of editors give a brief critical summary of the books that they are currently reading (though the books can be old or new). 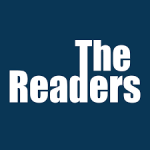 Based out of the UK, The Readers is a more casual podcast that features a few British and American friends (and self-proclaimed bibliophiles) discussing books they’ve read. Every week they feature books, both new and old, and discuss what they liked or didn’t like about each book. They will also try to convince each other to read books one likes but the others haven’t come across yet. From Maya Angelou to Margaret Atwood to Ian McEwan, from horror to the classics, this show covers them all and adds a personal charm. 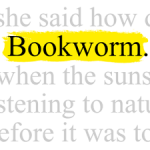 Public Radio’s KCRW produces Bookworm, another author-interview based podcast. It is hosted by broadcaster Michael Silverblatt, and has a conversational format that allows a different author each week to engage in a discussion of not only his or her book, but also his or her experiences and views in other areas of their life. This unscripted conversation can go in varying directions and often includes dramatic readings. The authors interviewed run the gamut of debut authors to seasoned veterans, and include poets and playwrights as well. As mentioned, these are just a few ideas. There is a rich and robust bevy of book podcasts, and finding those that fill the right niche for you can open your world of reading to a more colorful and multidimensional place.